In the design and construction industry, we face the reality that 70% of projects are delivered late, over budget, or both. The traditional, siloed approach that teams have relied on for more than 50 years has failed to improve productivity or solve the challenges our people face daily. Lean project delivery is the solution. LCI and its members practice a better way to deliver projects that has been proven to increase value delivered to the owner in a timelier and more budget-friendly fashion. Identify how to initiate project delivery action and find key tools to keep project momentum going. With LCI eLearning, practitioners can learn Lean tools and principles in small batches, at their own pace and from any smart device for the first time! 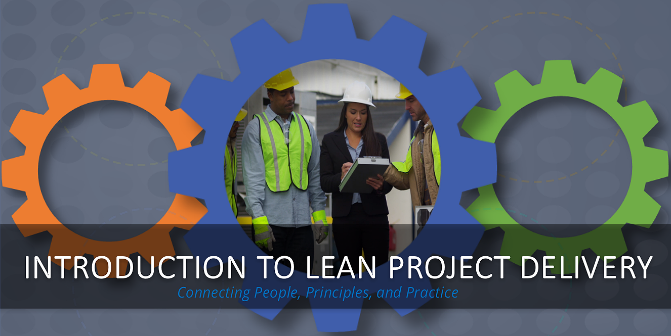 As LCI looks to the future, we recognize the value eLearning has for busy Lean design and construction practitioners and plan to expand the eLearning program, which also includes Introduction to the Last Planner® System and Lean in the Design Phase. Looking to effectively train hundreds of employees in less time? Volume discounts of up to 75% off the already reduced member price are available to LCI corporate members only. Email elearningdiscounts@leanconstruction.org, for more information on volume discounts as well as our member and non-member pricing! 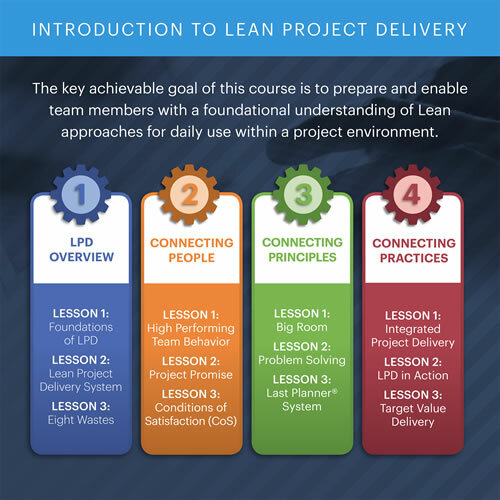 Participants must score 80% or higher on each knowledge check and the final assessment to receive a certificate of completion and a badge that can be added to an email signature showing that you are on a continuous path of Lean education. Those working on their AGC CM-Lean continuing education units can self-report 1.5 CEU for completion. Create a MyLCI profile if you have not already to access eLearning, receive education updates and be notified when new eLearning courses are released!